Good morning, everyone! 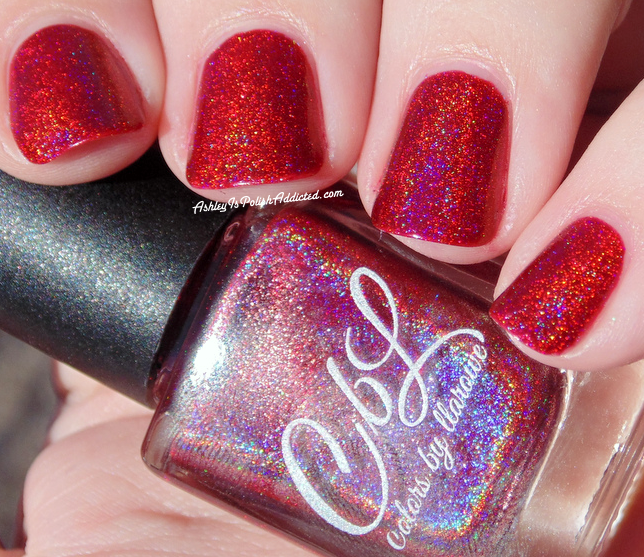 Today I have a red that has stolen my heart. 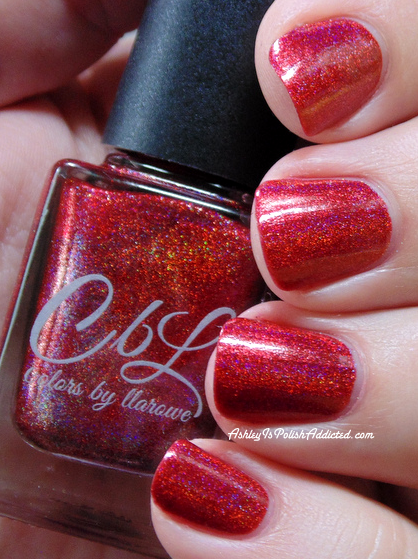 You know how much I love red, and this one is at the very top of my favorite reds list. It's just gorgeous! 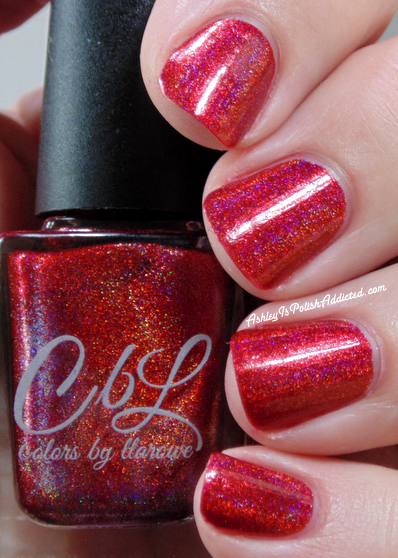 This is Colors by Llarowe Pirates of Penzance from the Pretty Woman Collection. 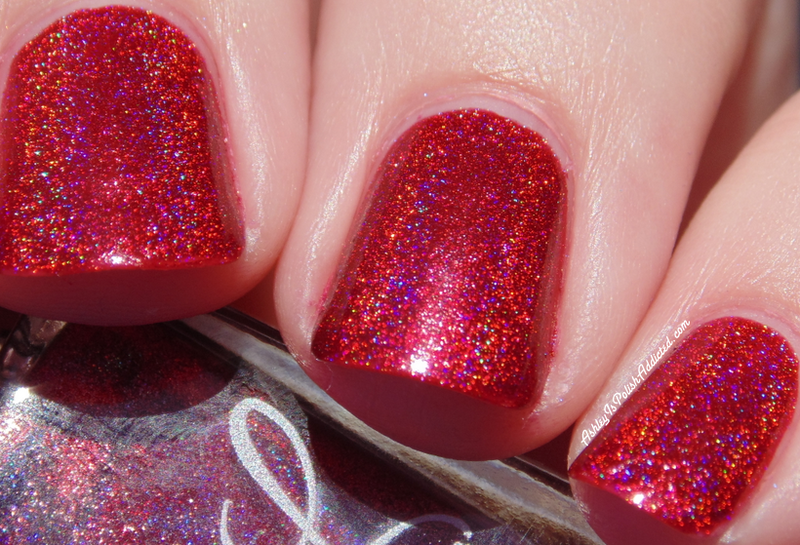 Pirates of Penzance is a deep red holo that remains a true red rather than leaning to the pink side like most red holos do. It is also so glowy! 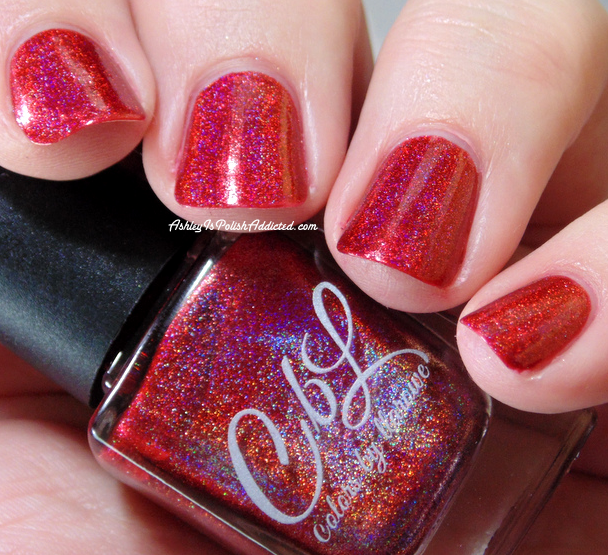 Leah Ann does glowy holos so well, and this one is both glowy and linear. 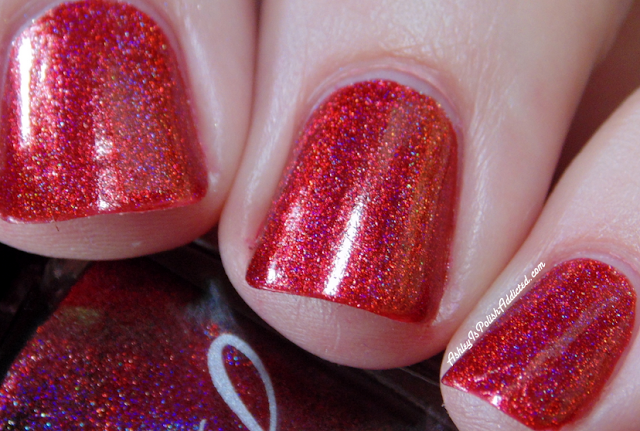 It really did make me gasp when I put it on, and it takes a lot for a polish to make me gasp with as many as I have in my collection. The formula is amazing and I did not have any staining (and I wore it for several days with no base coat). It could probably be a one coater but I always use two. 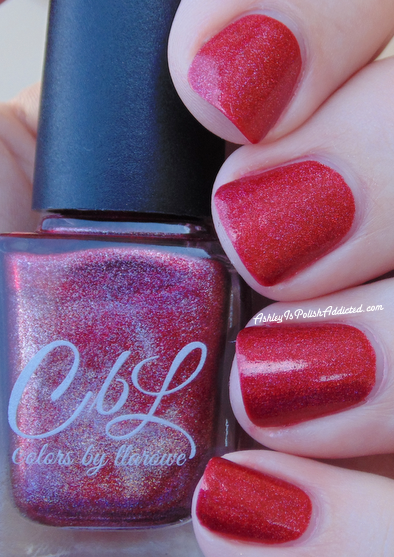 I am showing 2 coats and no top coat. 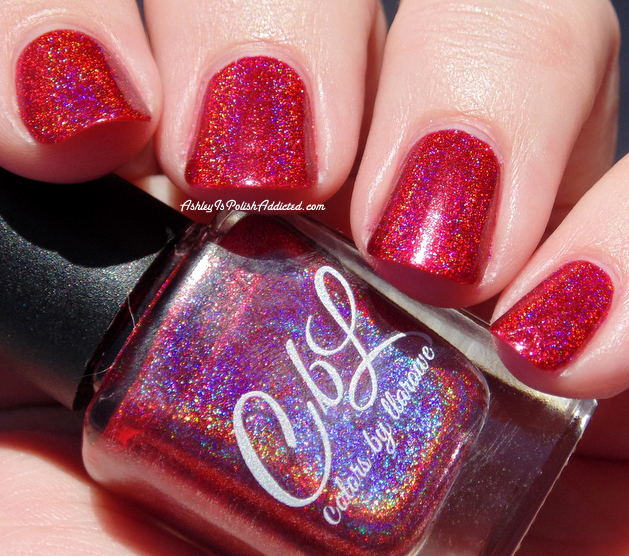 This is definitely a must have for red lovers! I will be grabbing a backup... or two. ;) I hope you all have a wonderful week ahead! 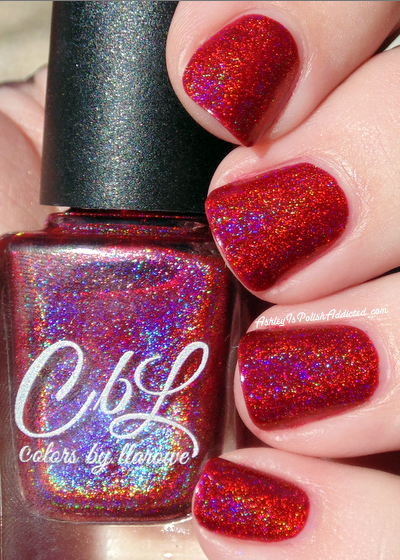 This is currently in stock at llarowe.com and Colors by Llarowe is also available at several stockists worldwide! I just got my bottle on Saturday. So excited to wear it! !